Camp Stevens is located in a mixed pine-oak woodland, in the chaparral biome. You’ll find a wide variety of terrain here, including rocky hills, flat plains, and mountain slopes. Post-colonial Julian experienced a boom in population during the gold rush, and is most known for its apple pies. This aspect of local history is well documented and celebrated at places like town hall. 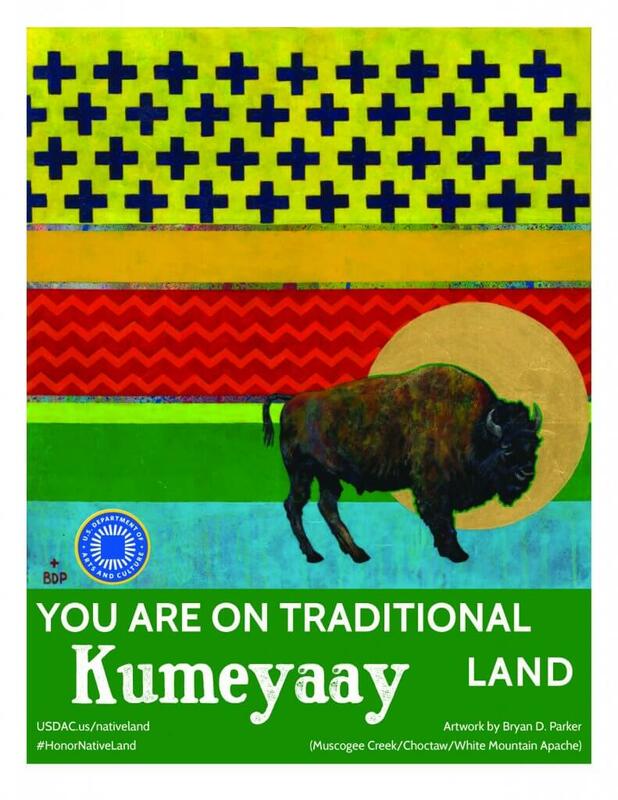 You may have noticed our sign hanging in the dining hall that states “You are on Kumeyaay land”. Camp Stevens believes that acknowledgement is a small but important step in opening the greater public’s consciousness of Native sovereignty and cultural rights. As striving stewards of the land, Camp Stevens hopes to acknowledge and bring to attention the generations of people who were here before European and Spanish colonizers, people who are still fighting for their rights to clean water, safe community, and earth’s resources.  You can find more information about the Kumeyaay on their website and more about the U.S. Department of Arts and Culture’s Honor Native Land Initiative here. 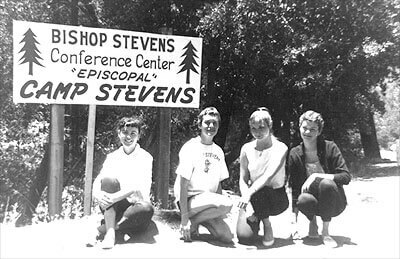 Camp Stevens began in the 1930s, when the Right Reverend William Bertrand Stevens, second bishop of the Episcopal Diocese of Los Angeles, began taking groups of young people camping in the San Bernardino Mountains for a week or two each summer. In the mid-1940s, a group of clergy and lay people from the San Diego area (then a part of the Diocese of Los Angeles) rented a camp near Descanso in the Cleveland National Forest and began a second program, called Camp St. Aidan. 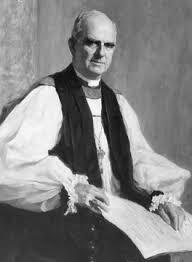 In 1950, a committee, under the leadership of the Rev. Jack Lax and the Rev. C. Boone Sadler, Jr., purchased the buildings they had been renting. Just after that summer camp season, a disastrous forest fire leveled the campsite. The group, undaunted, searched for another site and found a 66-acre property for sale near Julian for $20,000. 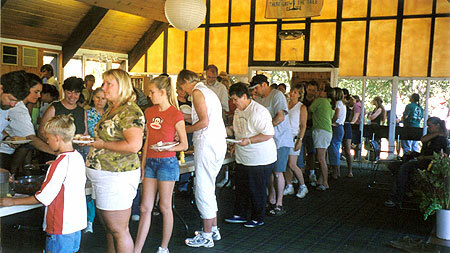 They raised enough money for a down payment, bought the property, and re-established Camp St. Aidan in 1952. The property, as purchased, consisted of a small ranch house, workshop, tool shed, and four small cottages. At the same time, the Diocese of Los Angeles, now under the leadership of Bishop Francis Eric Bloy, completed a capital fund drive that included $175,000 to develop a diocesan camp. 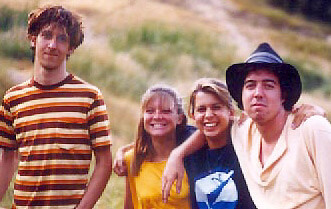 In 1953, the San Diego Camping Committee agreed to transfer the Julian property to the diocese. 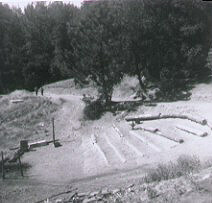 Now one entity – location and program — Camp Stevens moved to its permanent home in the summer of 1954, and soon an outdoor chapel, pool, summer camp cabins, and a director’s house were constructed to the existing ranch buildings that consisted of a small ranch house, workshop, tool shed, and four small cottages. In 1957, Nat “King” Cole, the popular jazz musician and an Episcopalian, offered his rare talent to aid the youth of the Diocese of Los Angeles. The sold out concert he performed at the Shrine Auditorium provided most of the funds needed to construct the Dining Hall and kitchen. The Dining Hall was completed in 1961, along with St. Aidan’s (later renamed Lax-Sadler Lodge), a summer camp infirmary that doubled as a lodge for weekend retreats in the fall, winter, and spring, and St. Mary’s Cabin, an additional small dorm cabin near the Dining Hall.  The Episcopal Diocese of San Diego was established from the Diocese of Los Angeles in 1974. 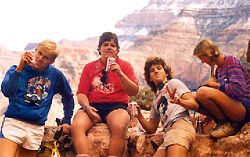 Demand for weekend retreats at Camp Stevens increased through the 1970s and early ‘80s, and led to the development of a new master plan and the construction of Blum Lodge. Named for the Rev. 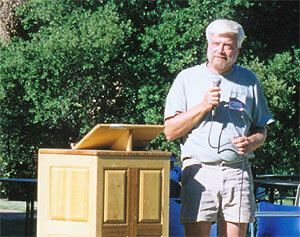 Edward Blum, first resident director of Camp Stevens, the lodge was completed in 1987 with two meeting rooms and lodging for 48.The Bishop’s Lodge, with a meeting room and lodging for 24 persons, was completed in 1992 and was named in honor of the Right Reverend Robert M. Wolterstorff, first bishop of the Diocese of San Diego. 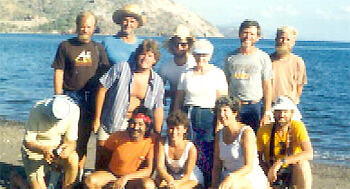 Beginning in the 1980s, Camp Stevens’ year-round programs expanded to include environmental education for school groups, ropes/challenge course teambuilding programs, family programs, organic gardening workshops, adult retreats, and off-site wilderness programs in the high Sierra Nevada Mountains, Baja California and the Galapagos Islands. Alarmed by the increasing encroachment of development around the Julian area, with the leadership of then Executive Director Peter Bergstrom, the Camp Stevens Board developed a plan to purchase adjacent properties as they became available. By 2002, six adjacent parcels (200 acres) had been purchased, protecting Camp Stevens as a peaceful place apart, and new areas for hiking, exploration, and adventure. 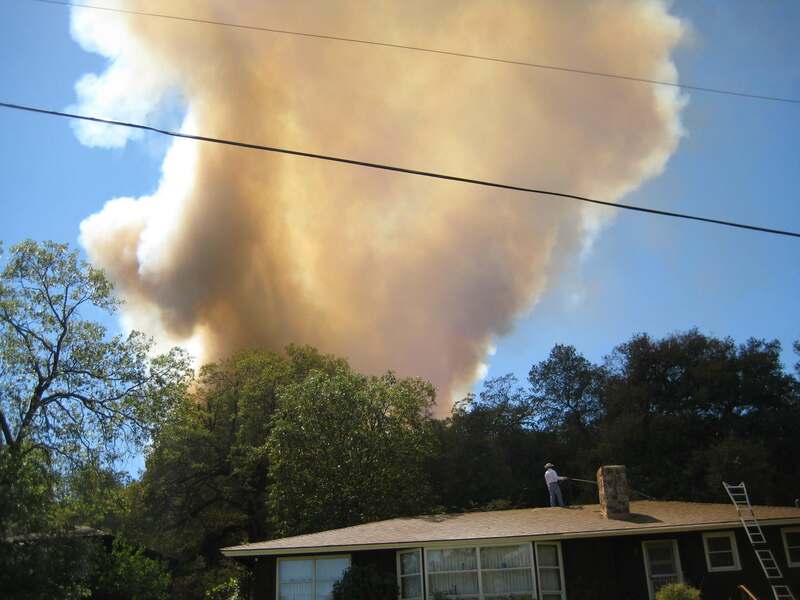 On September 15, 2007, a campfire started by trespassers in a remote section of the property spread into a forest fire and seriously damaged Camp Stevens. 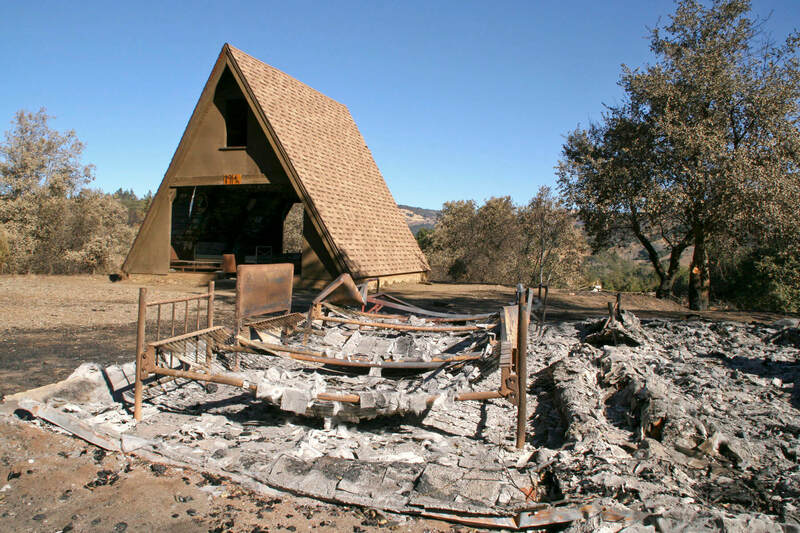 70 acres of forest were severely burned and twelve buildings were destroyed, including our chapel, four guest lodges, six summer camp cabins, one summer camp bathhouse, and four other buildings. Fortunately, the central campus, including the Dining Hall and Blum Lodge, sustained only minor damage, and, with the assistance of three temporary yurt cabins, Camp Stevens continued to operate while rebuilding. Rebuilding was also an opportunity to focus on sustainability in our facilities, including incorporating solar power, recycled carpet, and on-demand water heaters. 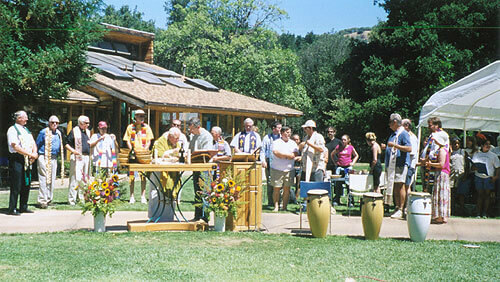 The outdoor Chapel of the Transfiguration, designed by James Hubbell, was dedicated in 2011 on the same site as the chapel that burned down, the new Bishop Wolterstorff Lodge opened in 2009 and Lax-Sadler Lodge in 2010. The Bergstrom Lodge opened in 2018. 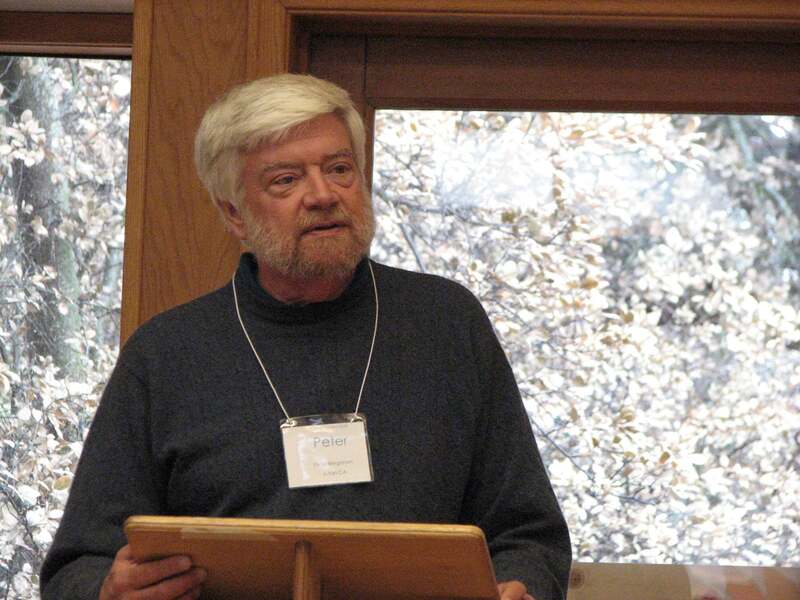 In 2012, long-time Executive Director Canon Peter Bergstrom retired, having helped establish Camp Stevens as a year-round destination for retreats, as well as a thought leader in community- and adventure-based programming. 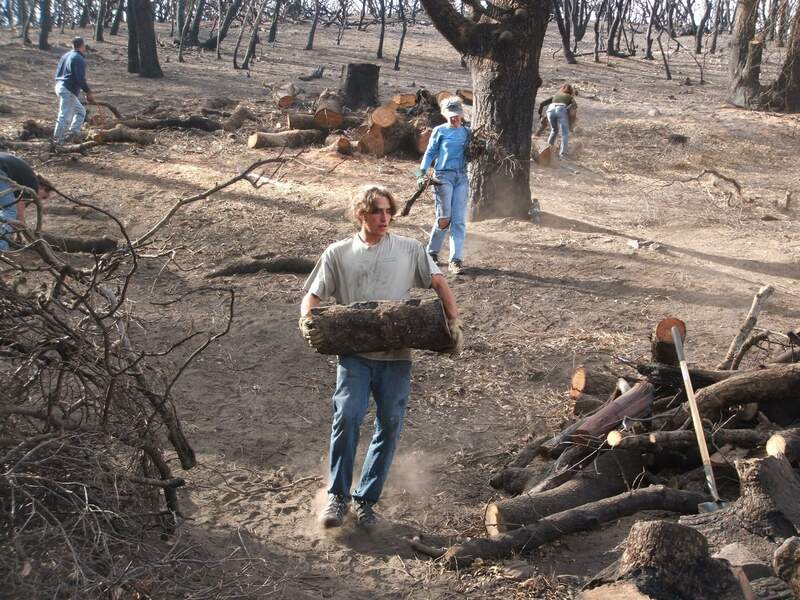 In fall of 2016, John Horton retired as Administration Director after 40 years at Camp Stevens, having established our ropes course and backpacking programs, and led the fire recovery effort.